Proper installation of solar panels is essential for the optimum performance of your solar panel system. Even if you have purchased the highest quality solar panels in the market, and even if they are installed by a reputable solar company, if some of these fundamentals are not followed and performed properly it could affect the performance of your solar panel system. And even though there are substantial federal tax credits for solar power, a solar PV system is still a major investment for any homeowner or business owner. The following outlines some of the basics to make sure you understand what you should expect from your solar contractor, and some technical advice to ensure optimum performance. First, it is very important to install your solar panels in the optimum position on your roof or in your yard. Even partial shade on your solar panel system can impact the performance of the overall system. Many solar contractors take shortcuts to get the job done quickly without doing a thorough review of your particular situation and your roof. Sometimes you have no other option but to have some shade on your PV system, but if it all possible it is imperative to position your solar panels so they are in the very best location for optimum sunlight and minimal shade. At TEO Solar, our solar technicians will spend the proper time at your location to ensure we maximize the effectiveness of your investment, and certainly this starts with the optimum location of the solar panel system. Solar panels are obviously an expensive investment and they have great value, so they can always be a target for theft. You'll never be able to fully protect a solar panel that is installed outside of your home, but there are definitely steps you can take to minimize the chance of someone stealing your valuable solar panels. First, make sure that you use theft-proof hardware that would require special equipment and tools in order to remove. Second, try to install your solar panels in a location that we'll not advertise to everyone in your neighborhood and the passerby that you have solar panels. This is sometimes hard to do, but a good consideration to keep in mind. At TEO Solar, we have been installing solar panel systems for more than 30 years, and we only use the best equipment and hardware in the market to enable you to best protect your investment. For most solar panels, approximately 15% of the sunlight is converted into power or electricity, 5% is reflected, and the balance of the sunlight is turned into heat. This is why it is absolutely essential to have optimum circulation around your entire solar panel. This is especially true underneath your solar panel, which can trap heat if you did not have proper circulation under your solar panels and create the necessary space. This is why solar roofing tiles are generally not a great idea, because they are part of your roof and can create a great amount of heat that is counterproductive to your solar power goals. Call TEO Solar today at 386-437-2671 if you have any questions regarding the technical installation of solar panels, or if you would like a free quote for a solar panel system for your home or business. 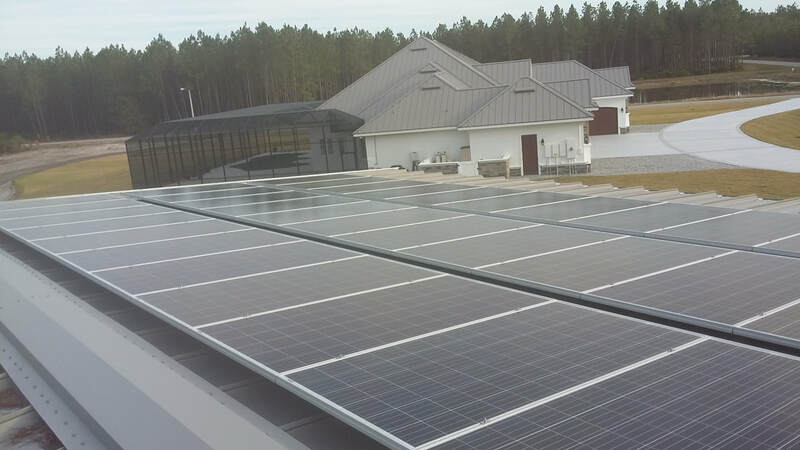 We have decades of experience in the proper installation of solar panels, and provide unmatched quality, durability, and warranties in the area. And remember, the quotes and advice are always free!